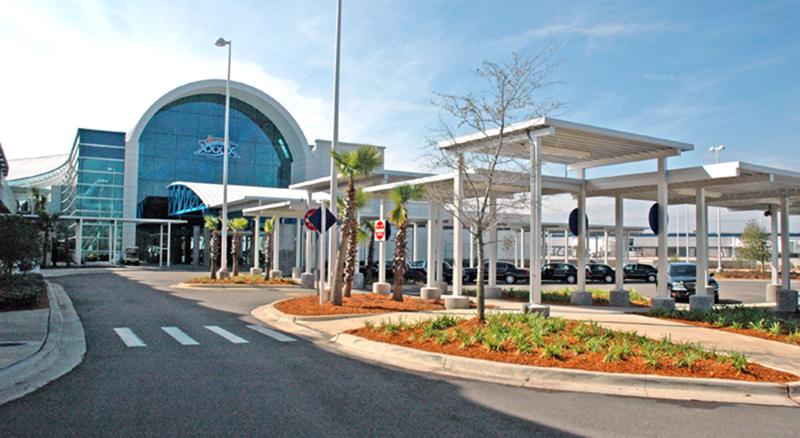 The major terminal expansion of Jacksonville International Airport is based on a master plan prepared by Ricardo Associates. The plan provides for major renovations and expansions of the existing terminal with replacement of existing concourses featuring 27 gates. The project includes a six level parking structure with a capacity of 2, 400 cars and features an intertwined helical ramp system for speed of car circulation. A pedestrian connector links the parking garage and surface parking to the departure level of the terminal. 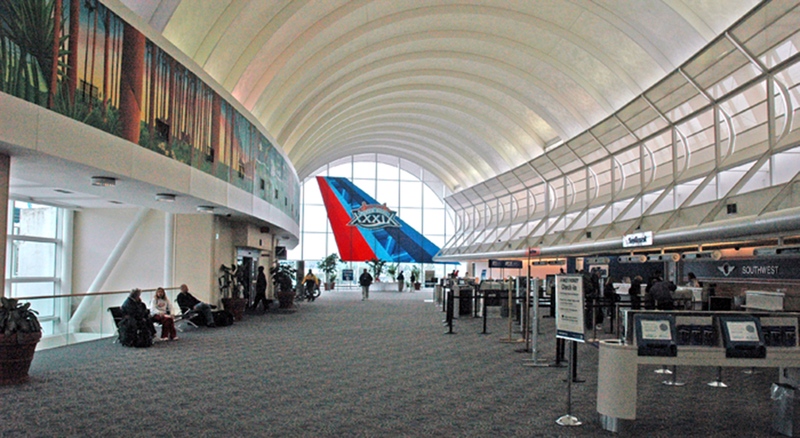 Baggage claim, make-up and ticket lobbies will be expanded in phase I with provisions for centralized bagg age screening and a centralized passenger security processing in an expanded central hub in Phase II. Existing international gates and FIS processing facilities will be located to ticket level after concourse replacement for convenient access to ground transportation. The terminal will embody the theme “Southern Lights” to celebrate and embrace the unique natural features of Northern Florida, with emphasis on the strong economic growth of the region and its dynamic quality of life.